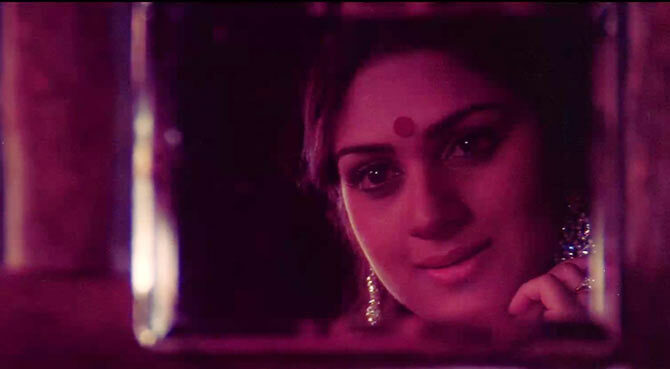 In this special series, we re-visit great Hindi film classics. Today, we look back at Subhash Ghai's 1983 blockbuster Hero that launched two relative newcomers into overnight stardom. No barrier of society, clans, class or creed can stop two people from falling in love. Ah, if it isn't the quintessential Bollywood fantasy! And so this week I decode the merits (and gaffes) of the classic theme retold through Subhash Ghai’s flamboyant filmmaking in 1983’s box office smash, Hero, which made stars out of Jackie Shroff and Meenakshi Seshadri after lacklustre beginnings (in Swami Dada and Painter Babu respectively) and conferred the rhyme Ding Dong O Baby Sing-a-Song (featuring the director in a blink and miss cameo) an epic stature. Interestingly, the love story owes part of its existence to Kamal Haasan. Sick and tired of chasing the Southern Superstar for dates, Ghai decided to scrap the project and came up with idea of Hero. Jackie Shroff makes his entry by showing his back to the screen. Only to pop before it with a sleek close-up, sharp long shot, bashing up a grotesque baddie named Billa to validate the film’s title to the hilt. I didn't watch it in a cinema hall but I can certainly imagine the pulsating applause permeating single screens in its glory days. Understated was never Ghai’s thing. As the go-to filmmaker for all things Dhina-dhin-dha during the fecund Eighties, his Hero is unabashedly bombastic, kitschy and melodramatic in its sensibilities. So there’s Bindu’s loud and lusting young widow, make-believe blood that’s, well, so make-believe it looks like fluorescent red paint, character costume faux pas wherein Jackie is inadvertently caught serenading Meenakshi in Amrish Puri’s costume-y vest, a hilariously hammy flashback about Jackie’s parents (they both cough for like four minutes and, bam, die!) and, finally, the hero-heroine are strategically named Jaikishen and Radha. Amusement on witnessing outmoded technology aside, Hero is, at heart, full-on fun, unpretentious and disarming. There’s nothing prepped up about Jackie and Meenakshi’s presence or personality -- what you see is what you get. It’s this unfeigned freshness that makes their flaws excusable. Moreover, Pappu Verma’s raw action and groovy bike stunts lend Hero necessary scale. During one such wild racing competition, Ghai's product placement proficiency flourishes to accommodate the virtues of Rajdoot 350. Clearly, the man always has a flair for such things. Remember Taal’s Coca Cola and Paas Paas in Yaadein? Hero is a ‘poor guy falls in love with rich girl’ story but with its share of intriguing twists. Jackie aka Jaikishen (Shroff) is the proverbial orphan taken under criminal Pasha’s (Puri playing along like only he can) wing who grows up to become a local dada. Regardless of his scruffy beard, hostile manners, badass red headband and daredevil bike riding, Jackie is basically Shrek before Fiona. 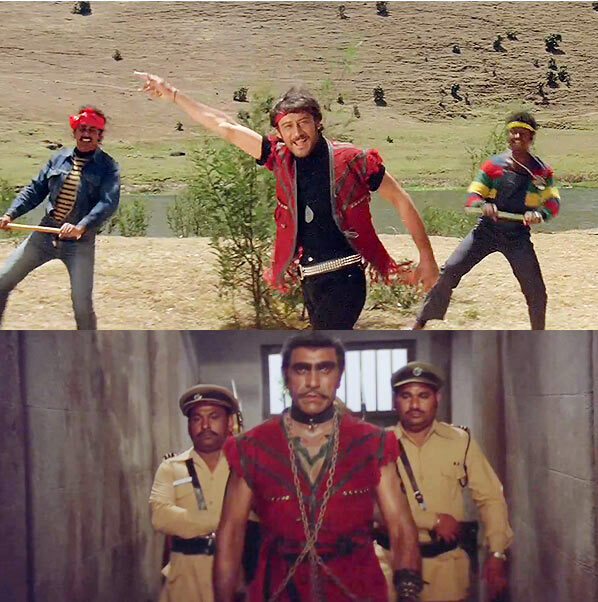 Along with his motorcyclist gang, he’s assigned by an imprisoned Pasha to intimidate an honest albeit arrogant retired cop (Shammi Kapoor essaying the obstinate obstacle both here and 1983’s other release -- Betaab) and kidnap his daughter Radha (Meenakshi Seshadri) in retaliation to his sentence. Only Radha, the perennially gullible 1980s heroine, is easily duped into believing her captors are covert police officers. So instead of the mandatory ‘bachao,’ she breaks into a gorgeous Laxmikant-Pyarelal melody, Nindiya Se Jaagi Bahaar in Lata Mangeshkar’s faultless rendition. It’s not hard to see why Ghai picked Meenakshi for the part. He was won over by the former Miss India’s traditional face and classical dancing prowess, which is amply displayed (in Saroj Khan’s intricate steps) at every opportunity (even atop a giant tabla). The lady who triggered Ghai’s fixation for casting a heroine whose name begins with M (Madhuri Dixit, Manisha Koirala, Mahima Chaudhary) looks absolutely ravishing too. The camera (through Kamalakar Rao’s brilliant handiwork) responds to her favourably, whether capturing her expressive eyes and big bindis in close-ups or romping around vast landscapes in tacky 80s styling. 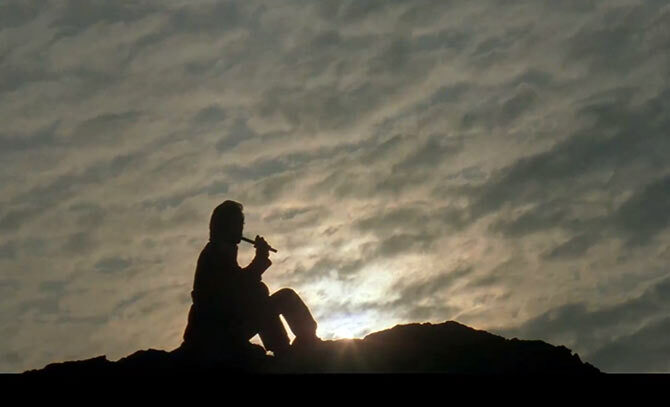 Meanwhile, Radha and Jaikishen develop feelings over the latter’s flute-playing skills -- that trance-inducing signature theme. When she discovers the truth about his identity, her shock lasts for not more than ten seconds. What matters to Radha is Jaikishen>Jackie and he display this golden side to everybody (basically Shammi Kapoor). The actor, who worked with Ghai previously on Vidhaata, is priceless in the scene where Meenakshi delivers an emotionally charged dialogue, "Warna mein kunwari hi vidhwa ho jaaongi" and a stunned Sanjeev Kumar spontaneously falls off the chair. Ghai grabs the occasion to introduce songstress Reshma’s achingly beautiful Lambi Judaai, a song now synonymous with lovers forced to stay apart. The erstwhile showman heard the Pakistan folk singer perform at Raj Kapoor’s private party and was mesmerised by her rendition. His keen ear for music helps him extract lilting tunes like Tu Mera Jaanu Hai, Pyaar Karnewale Kabhi Darte Nahi and Mohabbat Yeh Mohabbat (besides the one I mentioned earlier) from his then regulars Laxmikant-Pyarelal against Anand Bakshi’s snappy lyrics. The soundtrack of Hero -- apart from making some sturdy use of Manhar Udhas -- lends Jackie and Radha’s romance heft and intensity. Once Jaikishen comes out of jail, he "shines up like a new penny" what with the beard, bands and punk jackets making way for "good boy" shirts and jeans. 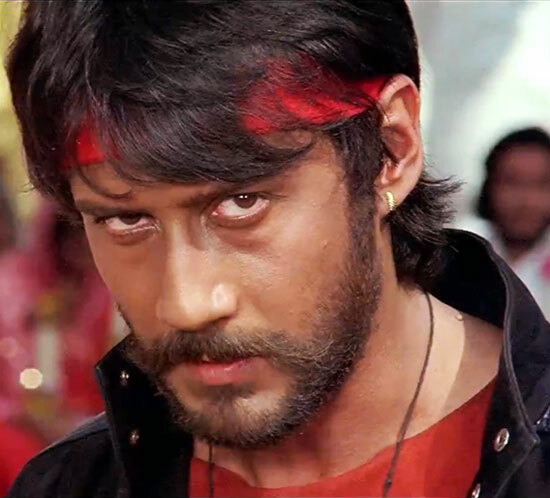 At a time when cool meant going overboard, Jackie Shroff conveys poise, composure and, yes, stardom. Self-conscious dialogue delivery aside, his lean frame, fiery eyes and inscrutable smile pack in an attractive vulnerability. Even his histrionics are laced in restraint, an attribute he’s developed rather deftly through the course of his erratic career. A lot has changed in the last 30 years. Jackie’s son Tiger is gearing up to make his acting debut. Salman Khan wants to remake Ghai’s film with new faces. Meenakshi is a happily married, mom of two, running a dance school in the US. Hero’s loyal following of fans. And flute sellers.